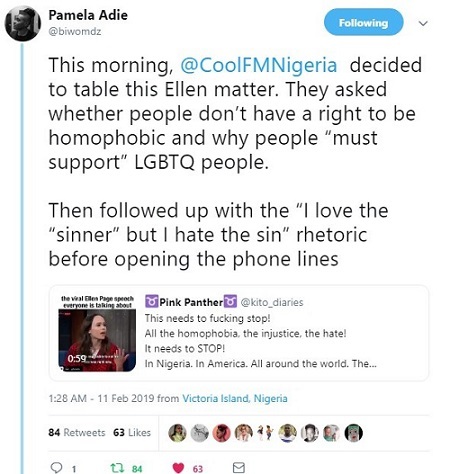 Yesterday (February 11), Pamela Adie took to twitter to call out radio station, Cool FM, on the stunning show of ignorance and prejudice presenters of the Good Morning Nigeria show exhibited. The focus of the morning show was reportedly on the topic of Hollywood actress and LGBT activist, Ellen Page going viral due to her umbrage against the US Vice President, Mike Pence. During an appearance on Stephen Colbert’s Late Show, Ellen Page gave an emotional speech reminding viewers that LGBTQ+ people are under attack every day and that a culture that puts homophobic politicians in power is the root of the problem. Page pivoted back to Smollett, who she said she doesn’t know but sends all her love to, and made the obvious connection between his attack and the effect having anti-LGBTQ+ politicians in power has on the culture at large. “If you are in a position of power and you hate people, and you want to cause suffering to them, you go through the trouble, you spend your career trying to cause suffering, what do you think is going to happen? Kids are going to be abused and they’re gonna kill themselves, and people are going to be beaten on the street,” she said, clearly holding back tears. 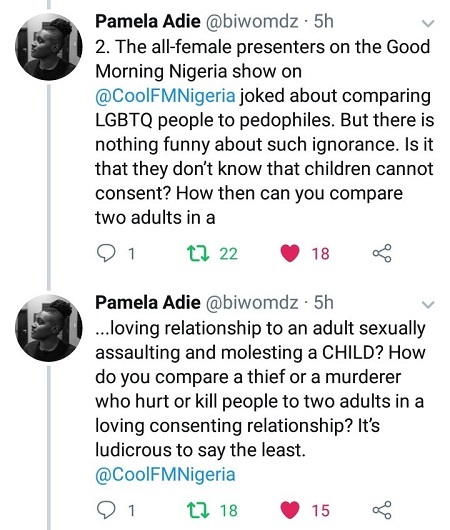 And this is the issue that Cool FM Nigeria presenters tackled on the Good Morning Nigeria show, with a shocking lack of intelligence and a great deal of ignorance – something that Pamela Adie took to Twitter to address in a series of tweets. 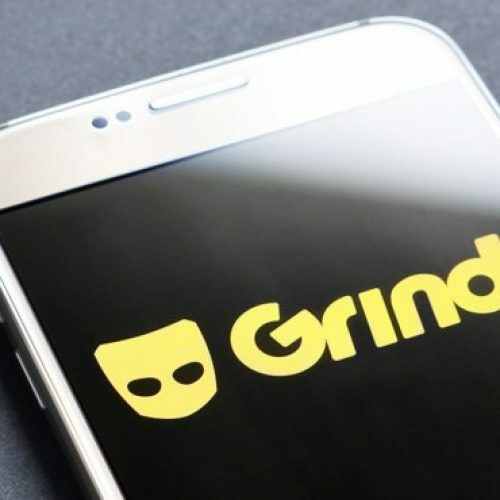 Drawing parallels between the LGBTQ and pedophilia, bracketing LGBTQ people in the same space as murderers and thieves, using religion to support prejudice against queer people, and disregarding LGBT allyship with the mentality that to be pro-LGBT is to be gay – these are acts of ignorance that shouldn’t exist in 2019. 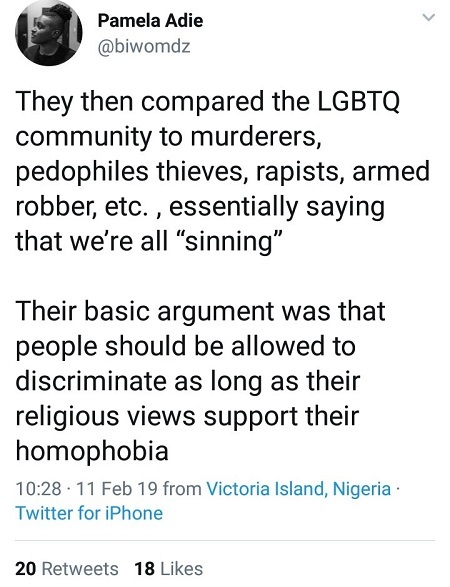 The fact that people such as these on-air personalities, people who should know better, come on air to mouth off prejudicial claptrap that is either about them being shockingly unenlightened or just pandering to homophobic listeners, says a lot about how fucked up, mediocre and backward the Nigerian society is. 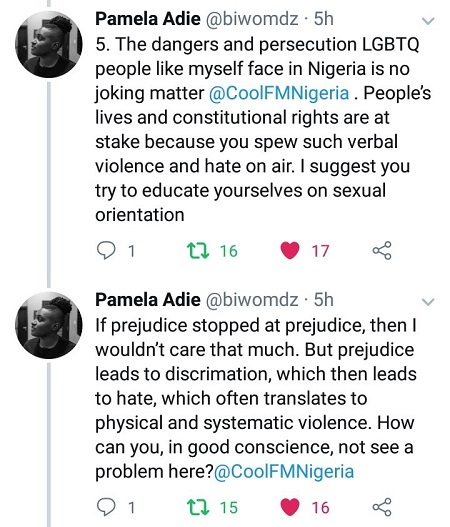 That we have a media that isn’t even disposed to gleaning some real knowledge about societal injustices and passing those messages across to their subscribers makes the thought of being a Nigerian very depressing to me. 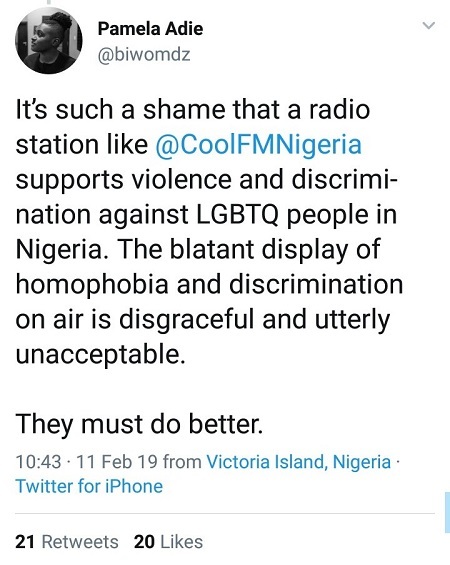 I have always said it that broadcasters in Nigeria especially on these hip radio stations are air heads. Can the American government just not grant them visas cuz of their homophobia already? 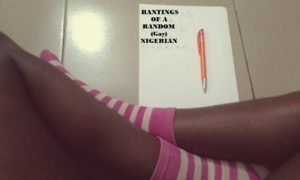 What people do not understand about books is that it can be used to justify just about anything, if properly twisted and taken out of contest. Case in point, people have used the Bible to justify slavery, child abuse, female subjugation etc. 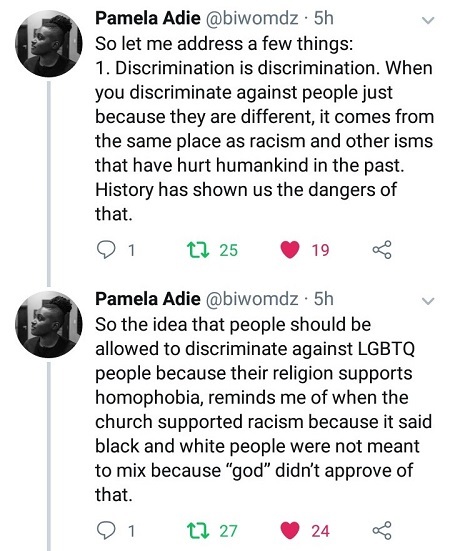 So since they r claiming religious grounds did they read Christ’s ultimate law “Love your neighbour as yourself” and Paul in one of his epistles when giving the attributes of love said that Love does not seek to harm. So these illiterate pseudo-accented tongue rollers should please get an education and not spew their stupidity for the whole world to see. Day in – day out, I think of what bigotry we’re faced with, it hurts so much that I question creation. 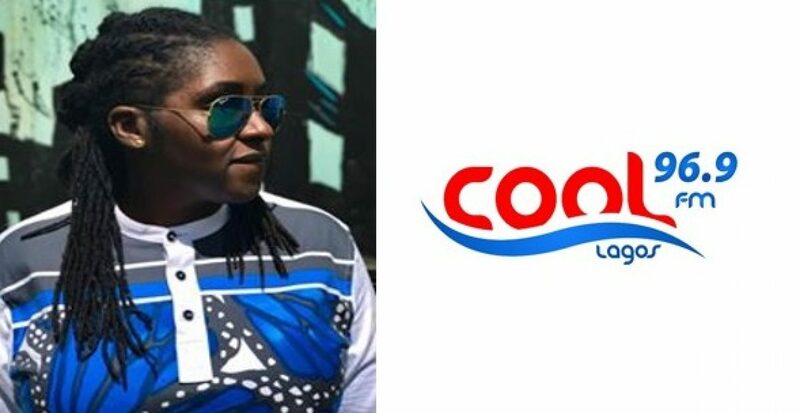 Isn’t this the same radio station that birthed Daddy Freeze? Wow, they really are invested in employing only (uneducated and ignorant) bigots. 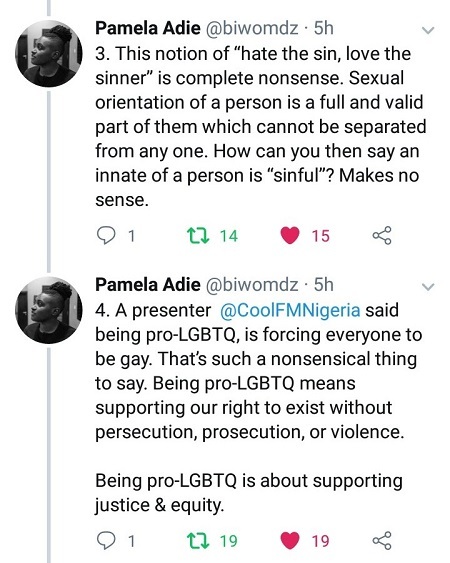 I like how Pamela took out time to dissect the issues and feel a lot terrible I was so occupied with Soundcity FM to tune into that show and give them a piece of my mind. Such bigotry should not be allowed on radio, public speaking! Too bad she no drop names. 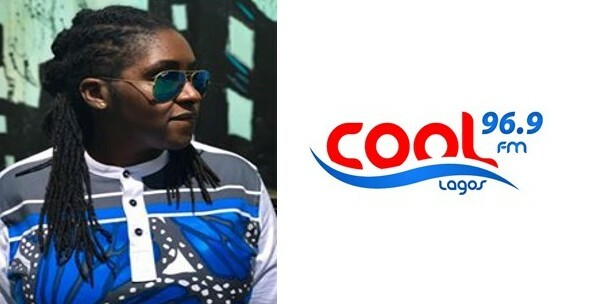 Uncoolfm. I am this close to pulling out their overdrawn receipt with a name and God help help me, a screenshot confirmation.